Pink Tiger | Zonyxa. Unique and contemporary jewellery for Work. Love. Play. 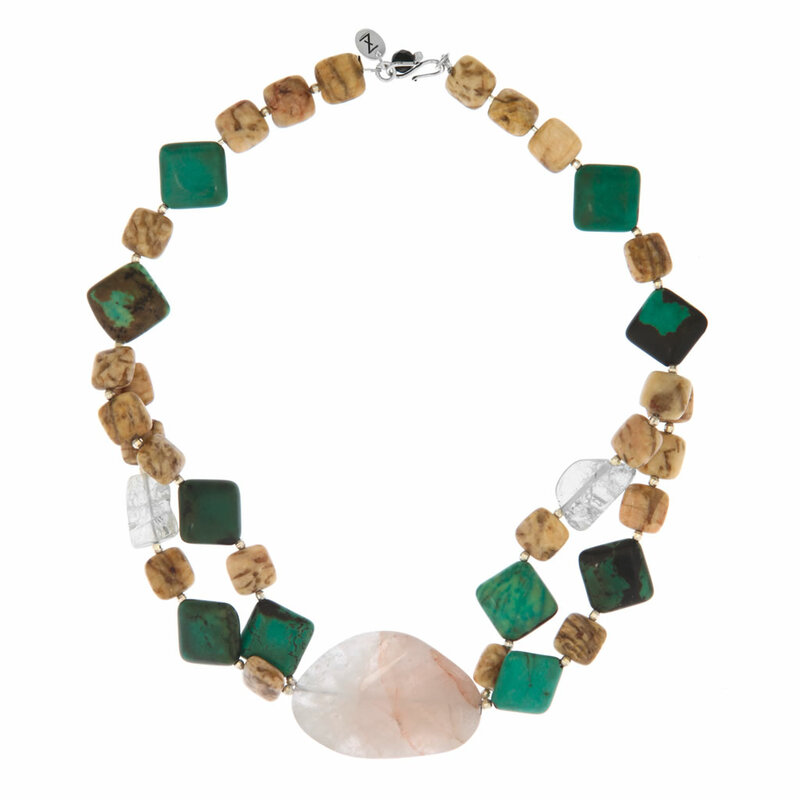 The natural hues of howlite and tiger agate contrast with two impressive crystals and delicate sterling silver ‘disco-balls’ to give this piece a truly exotic feel. It’s topped with a centrepiece pink agate pendant. Wear it to lift a simple daytime outfit into something stunning. Materials: Pink agate, tiger agate, howlite, crystal and sterling silver “disco balls”.